Hey! 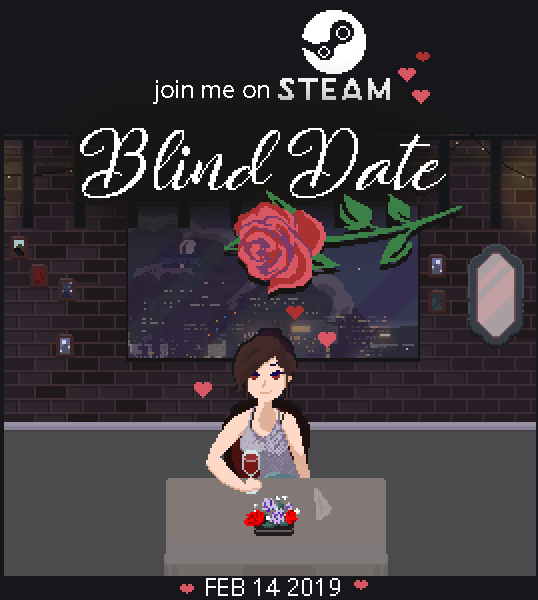 We released Blind Date on itch.io roughly eight months ago and were absolutely floored by your reviews, videos and warm thoughts! This game means so much to us, so it's amazing to have gotten such a lovely reception. This Valentine's Day we wanted to invite you on a Steam date with us! We've added countless improvements to Blind Date, over double the number of endings and tons of new content and dialogue for you to explore.